Apologies for the constant showering of flower images but how can I pass up sharing a garden moment like this one above? 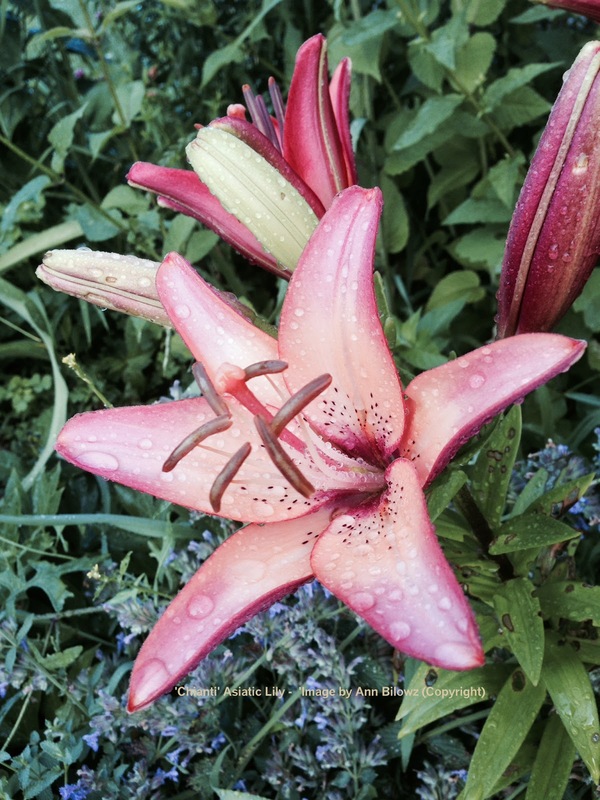 The Asiatic Lily ‘Chianti’ is definitely a summer star, at least in my book. Need one good reason? How can something look so beautiful after a heavy rainstorm all the while keeping its delicate shape and form? So what stars will make their way into your summer garden? There’s always room for more. Try ‘Chianti’ for its wonderful attributes, especially for its star-shaped blooms. As Ivan Doig reminds us, "The spaces between stars are where the work of the universe is done."